Visit Eastpoint Mall to experience incredible shopping, immaculate dining, and ultimate entertainment! Eastpoint Mall is a one-level regional enclosed shopping center located in Baltimore County. Eastpoint Mall was one of Baltimore’s first shopping centers and has been serving the community since 1956. Eastpoint Mall is anchored by JCPenney, Burlington, Gabe's, and Value City Furniture. The Mall features over 120 specialty shops, restaurants, and services including Foot Locker, Bath & Body Works, AT&T Wireless, Shoe City, Kay Jewelers, Chick-fil-A, The Children’s Place, McDonald's, Cricket Wireless, and Rue21. 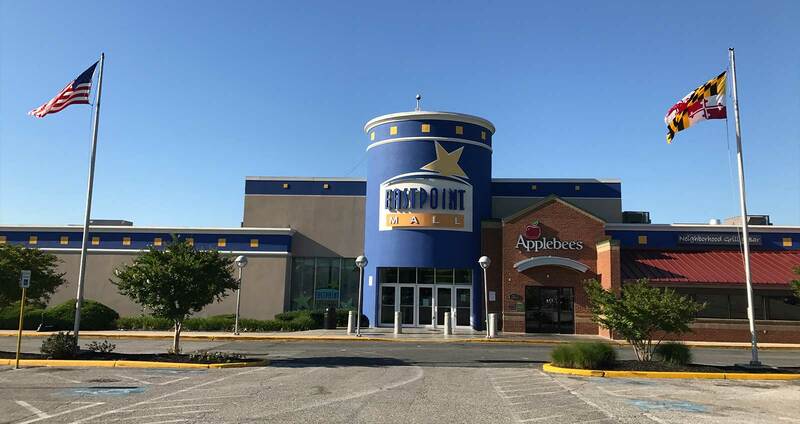 Eastpoint Mall is conveniently located at the intersection of Eastern Avenue, North Point Boulevard and I-695, just one mile from I-95. It is served by two bus lines and an on-site taxi stand. Eastpoint Mall is owned and operated by an affiliate of MCB Real Estate, LLC.